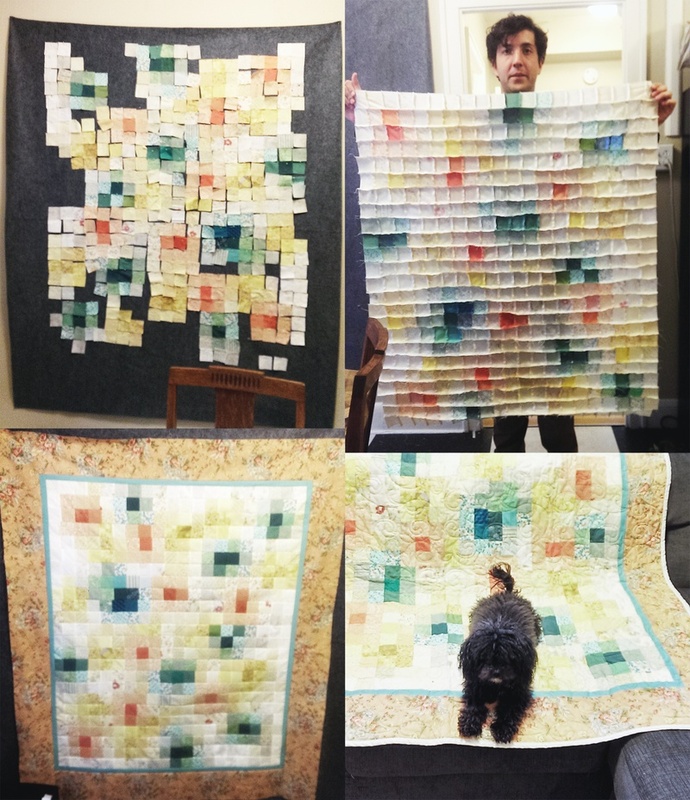 Mike and I made this watercolor quilt for grandma Joan, our DIY co-conspirator. She has a real DIY brain because her response to our quilt was to make her own, bigger and better quilt. DIYers: "Anything you can make, I can make better."